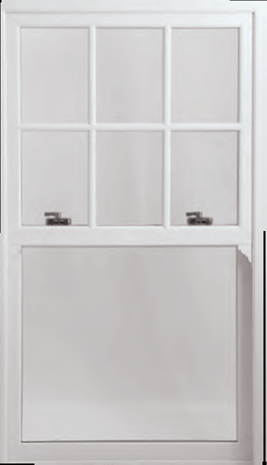 With the Rose Collection, you have expertly-crafted, impeccably-finished uPVC sash windows that are indistinguishable from genuine timber. 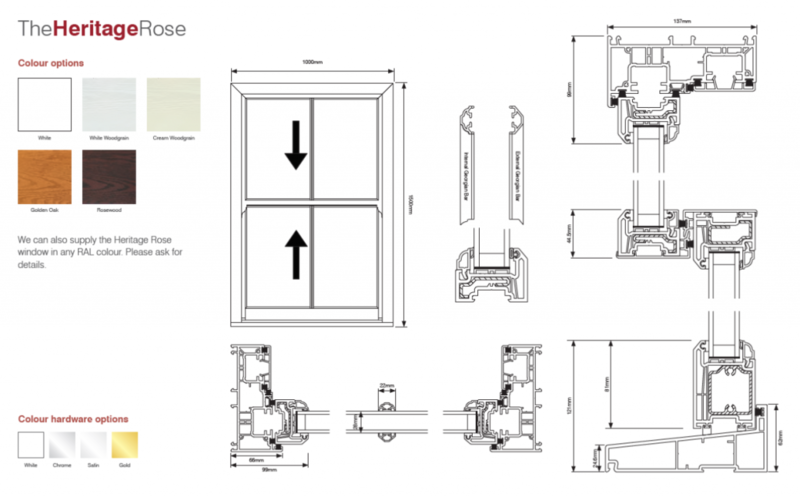 Developed over 25 years, Rose Collection windows have been precisely engineered to match a classic timber vertical-sliding sash down to the finest details, without compromising on energy efficiency, thermal insulation or ease-of-maintenance. The Ultimate Rose is the epitome of the Rose Collection design philosophy – an outstandingly authentic, exceptionally-performing and work of art. 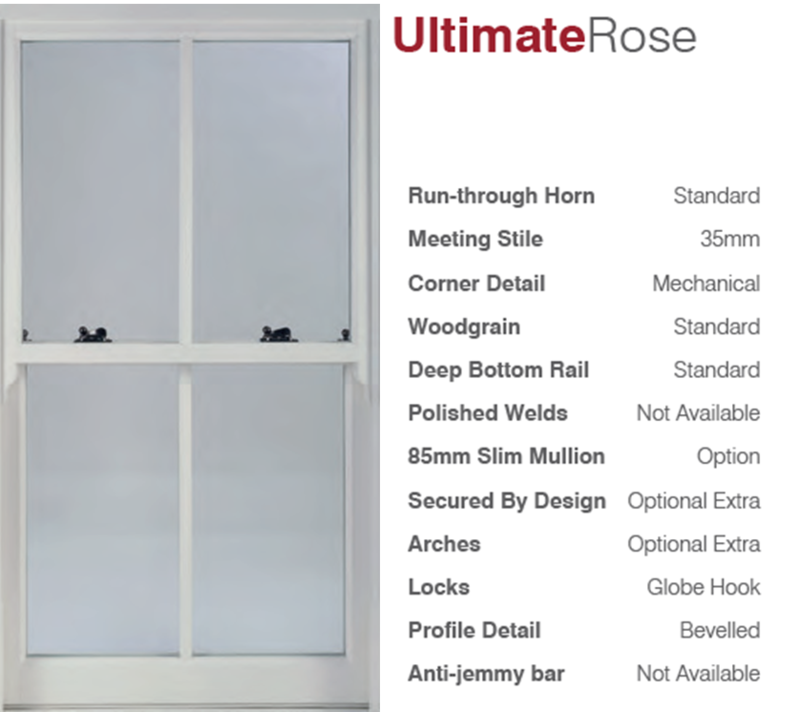 The Ultimate Rose was one of the very first uPVC sash windows to be cleared for use in conservation areas – and it’s still the best. 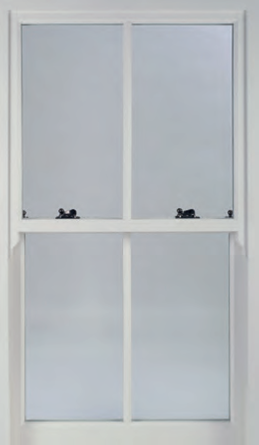 With slim timber-like profiles and a 35mm meeting rail, no other sash window looks as authentic. And with period features as painstakingly detailed as full mechanical joints, deep bottom rail and external putty lines, it would take an expert to tell it apart from a genuine timber sash. 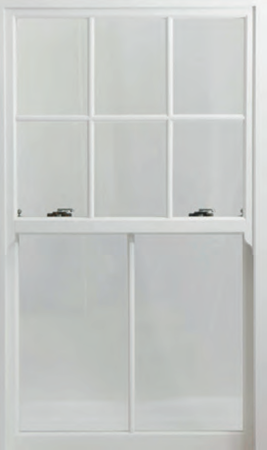 What’s more, you get all that careful craftsmanship, historic detailing and vintage appeal with the all-round exceptional performance of twenty-first century uPVC. It’s why we call it the Ultimate Rose. Authenticity is the watchword of the Heritage Rose. Accepted for use in conservation areas as discerning as the London Borough of Kensington and Chelsea, Lincoln, Worcester, and Cambridge, the Heritage Rose looks every inch the iconic timber sash window – while delivering the convenience and all-round excellence of modern uPVC. 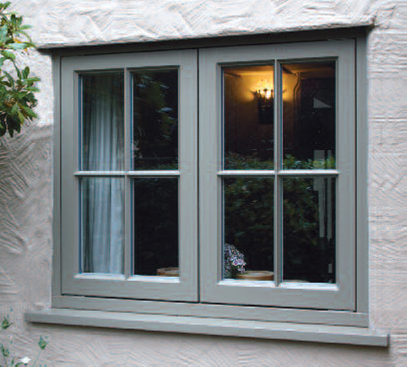 All around the UK, more and more people are choosing the Heritage Rose when it comes to replacing their existing windows – won over by a generous selection of colour and finishing options, its robust energy and security performance, and, above all, its incomparable vintage charm. 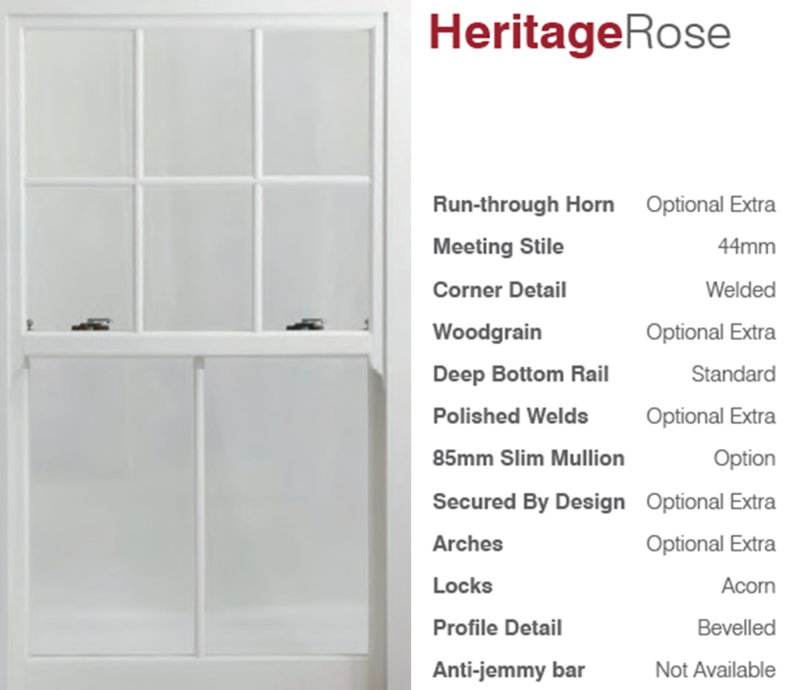 With its sleek sight-lines, deep bottom rail, external putty lines and other period detailing, the Heritage Rose is near-indistinguishable from a timber original, offering a level of class and authenticity second only to the Ultimate Rose. 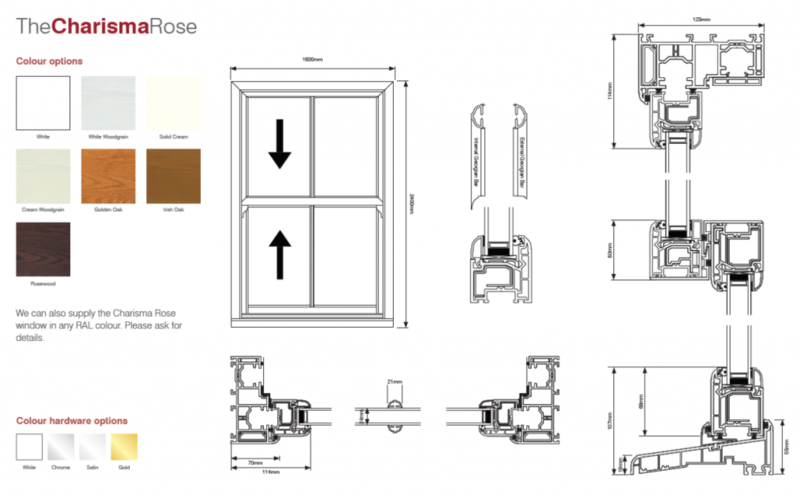 Take one of the most respected, competitively-priced uPVC systems on the market and turn it into an impeccably stylish timber-effect sash window – that’s the genius of the Charisma Rose. 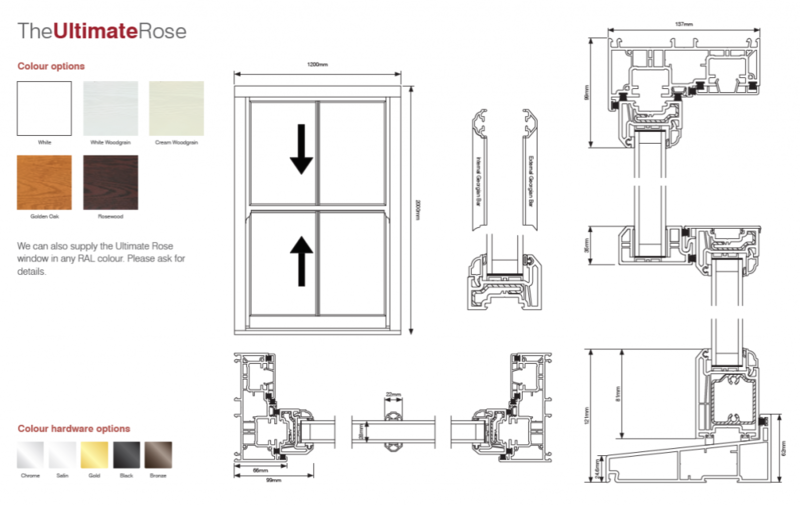 With a more contemporary appearance than either of its Rose Collection siblings, the Charisma Rose is a hugely versatile window, ideally suited to everything from upgrading existing windows on older properties to adding retro-chic to newly built homes. 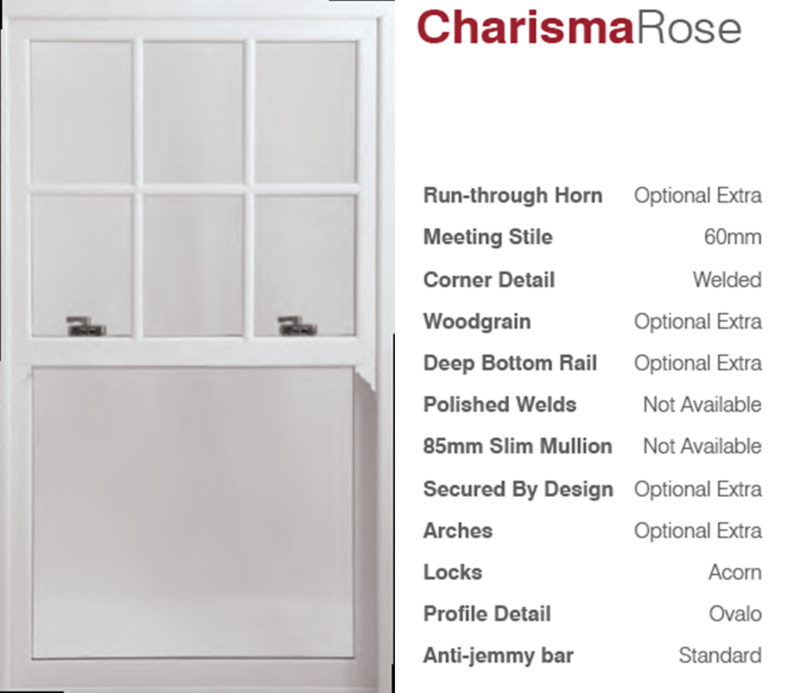 Inward tilting for easy cleaning, hassle-free maintenance and an extensive variety of finishing and hardware options make the Charisma Rose one of the all-round best sash windows currently available! Authorised and regulated by the Financial Conduct Authority. Newglaze Windows Ltd Registered office: 20A High Street, Glastonbury, Somerset, BA6 9DU, Registered in England no. 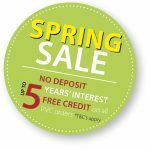 01749618 act as a credit broker and not the lender, and only offers credit products from Hitachi Capital Consumer Finance with whom we have a commercial relationship. Hitachi Capital (UK) PLC, trading as Hitachi Capital Consumer Finance, is authorised and regulated by the Financial Conduct Authority. Registered in Cardiff no. 1630491. Registered office: Hitachi Capital House, Thorpe Road, Staines-upon-Thames, Surrey, TW18 3HP.